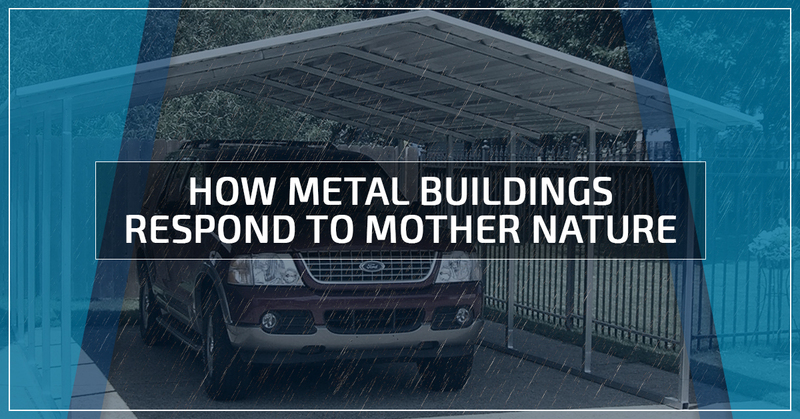 A common myth is that metal buildings cannot stand up to adverse weather conditions the same way other buildings can. We are flabbergasted that this is a popular belief because it is far from true. Here, we will explore some forces of nature and how metal buildings hold up. It should be noted that the building responses discussed here assume that the metal building was installed correctly and built to industry standards. 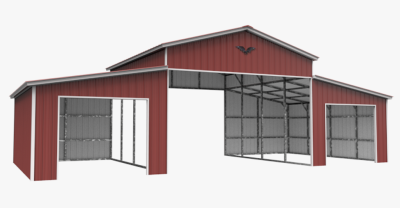 Prefabricated metal buildings are engineered in a highly controlled environment. When they are installed by specialists, repetition of construction increases the safety as each building is erected. Metal is incredibly durable as well as water and fire resistant. In the face of earth-shaking seismic activity, metal buildings have a distinct advantage over its concrete counterparts. Unlike other naturally occurring events that slam into buildings with the force of a truck, earthquakes move the foundation itself. In this case, it is beneficial for a structure to be lighter, to lessen the force threatening to tear the building apart. An added bonus is that steel and other metals allow for considerably more bend before it breaks than other materials. Concrete can crumble in a quake, whereas steel will remain standing strong! Strong winds threaten to knock buildings over, or in the case of a tornado, to scoop the building up into the storm. Metal buildings are completely ductile, able to bend without breaking. Each metal building will have a wind rating, which is the force it can withstand before it breaks. Most metal buildings are rated between 120 to 170 miles per hour (MPH). 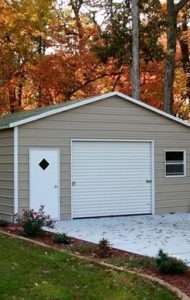 Closed metal buildings such as detached garages and horse barns can be sealed by closed doors to withstand greater wind forces. Hurricanes bring a combination of high winds and a lot of water. Rain and flooding are to be expected. Metal buildings are great in hurricanes because they are resistant to water and wind. Again, because of their ductility, metal buildings can bend considerably before breaking. Steel is nearly unaffected by water and flooding and will not mold or rust. Should a tree fall or flying debris smash into your metal building, it may cause a dent, but will not crumble or shatter like most residential home materials will. The problem with snow is that it is not only wet but also heavy. In areas that experience frequent high levels of snow, there is no better option than metal buildings. Metal support beams can handle significantly more weight than wood or concrete and is unaffected by moisture. Metal easements offer added support to metal roofs. Additionally, vertical style metal roofs are specially designed to allow water and snow to run right off. Forest fires are natural disasters that spread rapidly and threaten homes and buildings. Steel buildings are fire resistant, and will not go up in flames the same way a wooden structure will, nor will it melt the way a vinyl building will. When lightning strikes, it can cause fires to the structure it penetrates. Steel buildings do not absorb the shock, rather transfers the energy safely to the ground where it is dispersed, protecting the people and goods inside the building. There is a reason that emergency shelters are made of metal. Metal buildings are incredibly durable and can stand up to the fiercest of forces while sustaining minimal damage and protecting their contents. Mother Nature is relentless and unpredictable, we cannot attempt to change forces of nature, but we can prepare for impact. 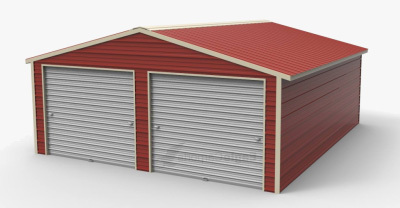 Metal buildings provide safety and protection in the face of adverse weather. 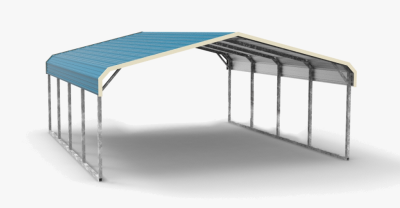 For your custom metal building, look no further than Wholesale Direct Carports.